Tara Karajica (above) is a Serbian critic and film journalist whose work is gathered at The Film Prospector. You can follow her on Twitter @TheFilmProspect. This year, the Venice Film Festival celebrated its Platinum Jubilee. 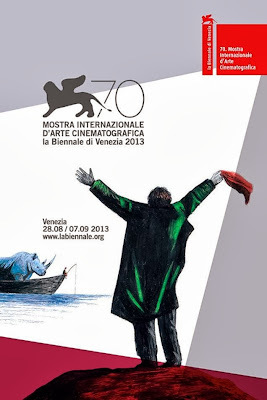 It is the first time in the history of “the seventh art” that a film festival has reached such a venerable age. To mark the occasion, seventy filmmakers had been invited to make a short 60-90-second film each, and their results screened together throughout the festival under the title Venezia 70: Future Reloaded, accompanied by forty excerpts from historical newsreels carefully selected and restored by the Istituto Luce Film Archives. Each short can be streamed via the festival’s website. And so, cinema’s past and future were symbolically intertwined by a festival that look continues to look forward, convinced that its mission is far from over. And, with this futuristic thought, the Venice’s seventieth edition was inaugurated on 28 August with Alfonso Cuarón’s long-awaited new feature, Gravity, starring George Clooney and Sandra Bullock – who, as was expected, created a tremendous sensation on the Lido. The most esteemed prizes awarded each year at the world’s oldest film festival are the Golden Lion, given to the best film in competition (this year it went to the documentary Sacro GRA by Gianfranco Rosi), the Silver Lion for Best Director (Alexandros Avranas for Miss Violence) and the Volpi Cup for Best Actor (Themis Panou for Miss Violence) and Best Actress (Elena Cotta for A Street in Palermo). Awards in the Horizons (Orizzonti) sidebar include the Orizzonti Awards for Best Feature Film (this year’s winner: Eastern Boys by Robin Campillo) and Best Short Film (Kush by Shubhashish Bhutiani). The competition this year included The Rooftops (directed by Merzak Allouache), L’intrepido (Gianni Amelio), Miss Violence (Alexandros Avranasa), Tracks (John Curran), A Street in Palermo (Emma Dante), Tom at the Farm (Xavier Dolan), Child of God (James Franco), Philomena (Stephen Frears), La jalousie (Philippe Garrel), The Zero Theorem (Terry Gilliam), Ana Arabia (Amos Gitai), Under the Skin (Jonathan Glazer), Joe by David Gordon Green), The Police Officer’s Wife (Philip Gröning), Parkland (Peter Landesman), The Wind Rises (Hayao Miyakazi), The Unknown Known (Errol Morris), Night Moves (Kelly Reichardt), Stray Dogs (Ming-liang Tsai) and Sacro GRA (Gianfranco Rosi). Bernardo Bertolucci’s jury was completed by British director Andrea Arnold, Swiss cinematographer Renato Berta, American actress Carrie Fisher, German actress Martina Gedeck, Chinese actor-director Jiang Wen, Chilean director Pablo Larraín, French actress Virginie Ledoyen and Japanese composer Ryuichi Sakamoto. and Egyptian actor Amr Waked. What set the Orizzonti section apart this year was the Sala Web – the virtual online theatre with a maximum capacity of 500 tickets for each showing. 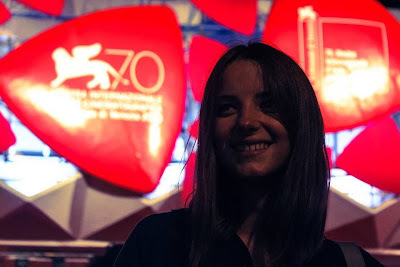 It was a special opportunity for audiences to connect with the Venice Film Festival and to discover the films from both emerging and established directors. There was only one screening for each film, on a secure webpage managed by Festival Scope on behalf of the festival and in collaboration with MYmovies. The Venezia Classici programme is also worth mentioning. It features a selection of the finest classic film restorations completed over the last year by cinematheques, cultural institutions and production companies around the world, starting with the Biennale and the collections of its Historic Archives of the Contemporary Arts (ASAC) that continues with these activities in order to enhance its heritage. Sorcerer (1977) – whose director William Friedkin received the Golden Lion for Lifetime Achievement – was restored by Warner Bros. To open the Venezia Classici programme. Competing for the Venezia Classici Award for Best Restored Film films such as Rossellini’s Paisan (1946), Visconti’s Sandra (1965), Renoir’s La Bête Humaine (1938) and Ford’s My Darling Clementine (1948) – all of which lost out to eventual winner Elio Petri’s Property Is No Longer a Theft (1973). Among those competing in for the Venezia Classici Award for Best Documentary were Gianni Bozzacchi’s Non eravamo solo… ladri di biciclette. Il neorealismo, Samantha Fuller’s A Fuller Life and Gabe Klinger’s Double Play: James Benning and Richard Linklater – which took the prize. With the film Amazonia in 3D by Thierry Ragobert, Venice came to an end on 7 September. This year, the festival was marked by the presence of strong female characters on both sides of the camera. But no festival can claim to be as resilient as this one, with its constellations of film stars on the City on Water. How such an event has succeeded in maintaining its worldwide influence is the question that everyone has been posing for a long time. The excerpts of old newsreels from the festival that were screened at the beginning of each screening are a wonderful reminder that if we want to survive, we ought to adapt in the name of Film, Art, Culture and the future. And so, with its seventy years, the Venice Film Festival may be old, but its youthful spirit is still present, with an ever growing will to renew itself. We are expecting with much curiosity the young-looking 71st edition of this ancient and fascinating giant among film festivals.